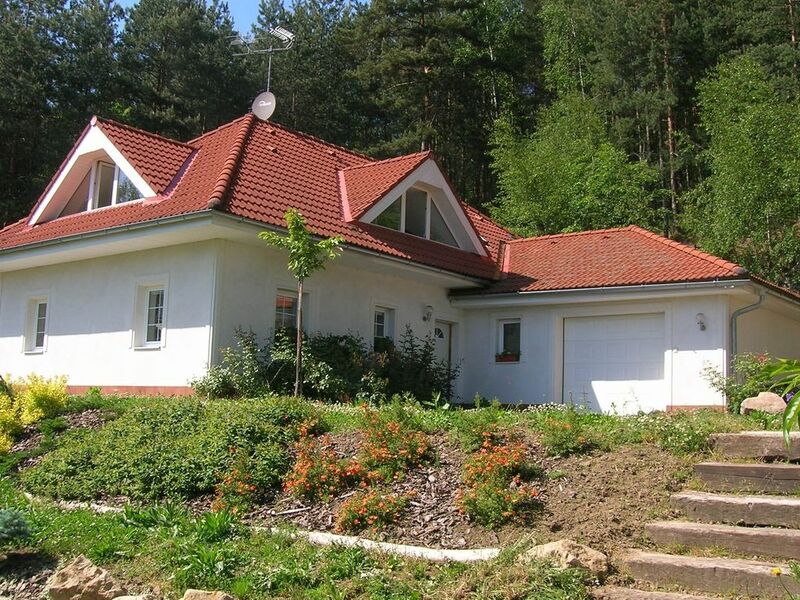 This detached holiday home lies at the edge of the village Klokoci. From your holiday home, extremely suitable for 2 families or groups, you'll have a beautiful view of Mount Kozakov. The house is also the ideal base for a great skiing holiday, since the ski slopes for beginners are only around 4 km away. The Bohemian Paradise invites you to go on beautiful hikes in the wintery landscape. Your holiday home is comfortable and newly decorated. You can really enjoy tranquility, space and privacy here. House Borivoj is a dream house for a dream holiday! Your holiday home lies 6 km east of Turnov. This is a cosy town where you can find many restaurants and shops. You can also walk to the nearby fortress ruin Rotstejn or visit mountain city Klokocske Skaly. Furthermore, the area is ideal for cycling or hiking trips through the most beautiful nature. Within a 50-minute car drive you can be in Prague. De aankomst was ontzettend hartelijk. De accommodatie en de omgeving TOP! Das Haus ist sehr schön und gut eingerichtet. Man kann im böhmischen Paradies und im angrenzenden Isergebirge viel unternehmen und schöne Wanderungen machen.